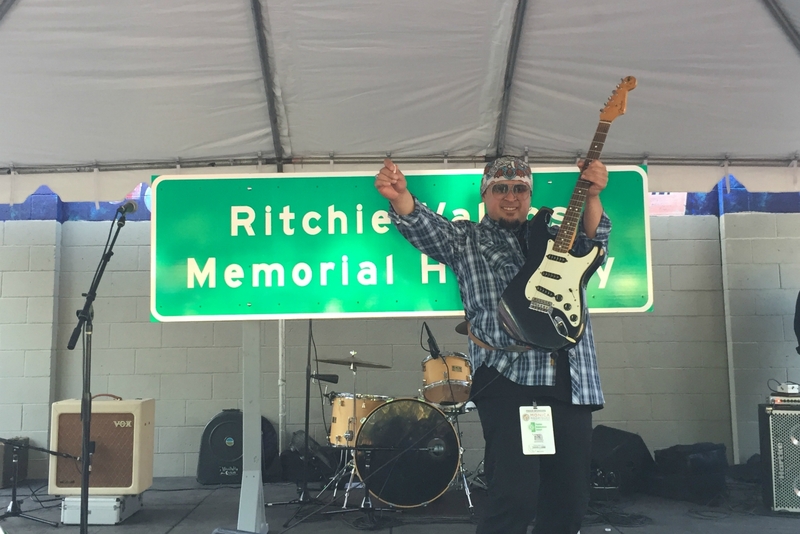 When Connie Valens Anderson, sister of of late rock ‘n’ roll icon Ritchie Valens, learned that a stretch of the 5 Freeway in the San Fernando Valley was being named after her brother, she couldn’t believe her ears. “It was unbelievable,” Anderson says. It’s not the first time Valens, who died in a 1959 plane crash and was the subject of the 1987 film La Bamba, has been honored. That, Anderson notes, has happened a lot. In 1990, his star was added to the Hollywood Walk of Fame. Three years later, the U.S. Postal Service produced a Ritchie Valens stamp. In 2001, he was inducted into the Rock & Roll Hall of Fame. The Ritchie Valens Memorial Highway, though, is different. “A part of a freeway in California—in the San Fernando Valley, that’s amazing,” says Anderson. On Saturday, August 25, a replica of the sign was unveiled at an event featuring music throughout the afternoon and an evening screening of La Bamba. Eventually, the sign will be placed between freeway exits at Osborne and Paxton. That’s not the only tribute to Valens in the neighborhood. 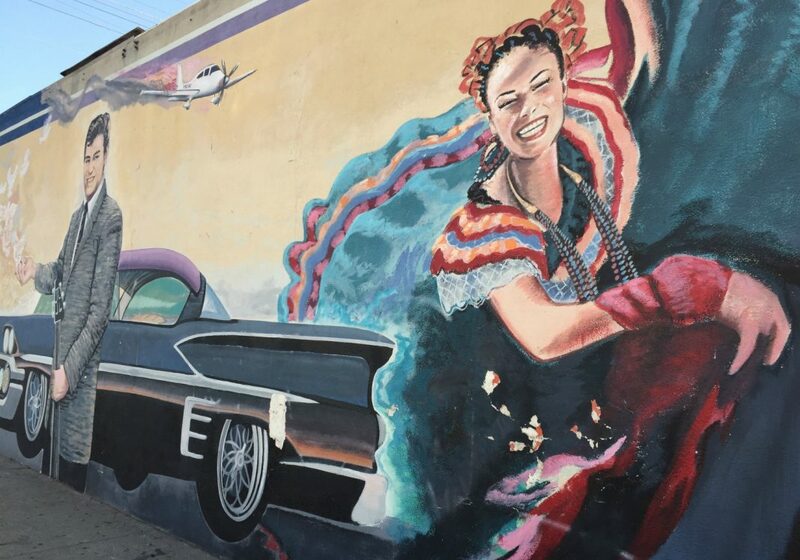 He’s the subject of several nearby murals and the festival itself was held at a Pacoima park named for the famed singer of songs like “Come On Let’s Go” and “Donna,” where one of those murals peeked out from behind the stage. 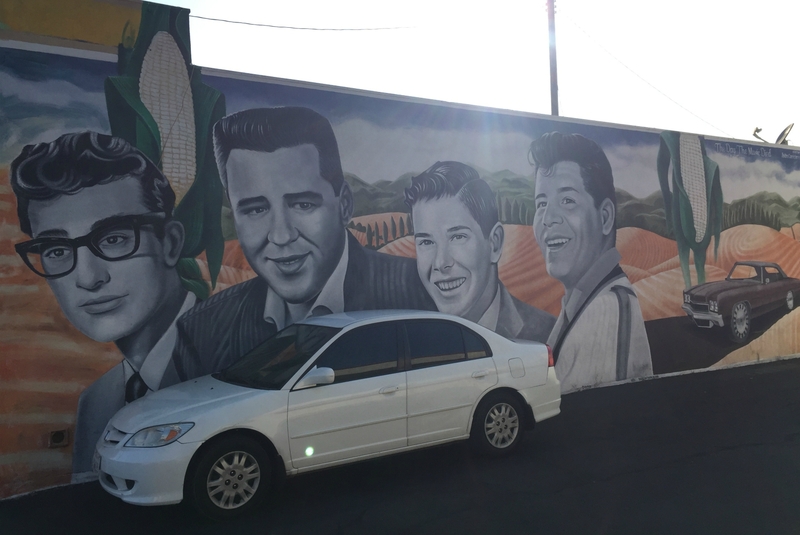 It’s safe to say that Pacoima has a lot of love for Ritchie Valens—and with good reason. Born Richard Valenzuela, Valens was a local kid who attended Pacoima Junior High (now Pacoima Middle School) and was a student at San Fernando High School in the 1950s when he was discovered by producer Bob Keane. Success came fast. His first single, “Come On Let’s Go,” nearly cracked the Top 40 and his second, “Donna,” climbed to the second spot on the charts. But it was the flip side of “Donna,” his rendition of the Mexican folk song “La Bamba,” that made a lasting impact. When Ernie Valens Band, led by a cousin of the late singer, launched into a rendition of the classic on Saturday, you could see how the song still resonates as an intergenerational audience—from seniors in casual, summer clothes to younger people dressed in mid-20th century retro fashion—moved closer to the stage and danced. The eclectic crowd was a testament to Valens’ resounding influence. Valens died on February 9, 1959 in Iowa while on tour with Buddy Holly and J.P. “Big Bopper” Richardson, when a plane carrying the three musicians crashed in Iowa, killing them as well as their pilot. It was a tragedy unlike any that had hit the rock world in those early days. The singer and guitarist was only 17, and still quite early in his career, but he already made a major impact. His legacy was felt almost immediately. Chris Montez, the early 1960s rock star from the South Bay, cited an encounter with Valens that would be influential on his own career. Later on, punk rock would adapt the style and sound of the early rock and roll era for the late 1970s. (In fact, The Ramones and the Paley Brothers covered “Come on Let’s Go,” which landed on the Rock ‘n’ Roll High School soundtrack.) By the late 1980s, Valens’ popularity had a resurgence with the release of the biopic La Bamba, itself a landmark work that was recently selected to be part of the National Film Registry. Rock ‘n’ roll’s origins—from rhythm and blues to country music—have been well-documented. But, in the nascent years of the genre, Valens brought in another element when he turned “La Bamba” into a rock song and scored a hit with it. Valens, who was Mexican-American, showed that you could incorporate your own heritage into contemporary music. He also showed that you didn’t have to sing in English to play a song that would connect with audiences. That’s an incredibly powerful message for artists. And when an artist who did so much in such a short amount of time comes from your own neighborhood, that’s something to celebrate.